Family Cruise to Bermuda – Coming Summer 2019! An informational meeting will be held on Wednesday, January 23 at 6:30 in the St. Paul library. Bring your friends, family and neighbors and gather information for a great get away this summer! 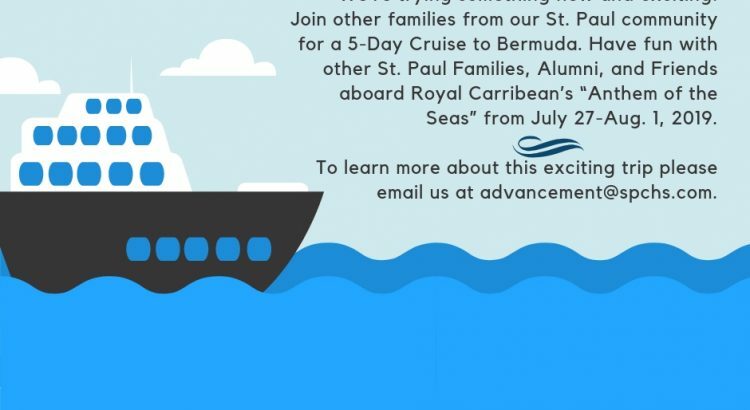 Join other families from our St. Paul community for a 5-Day Cruise to Bermuda. 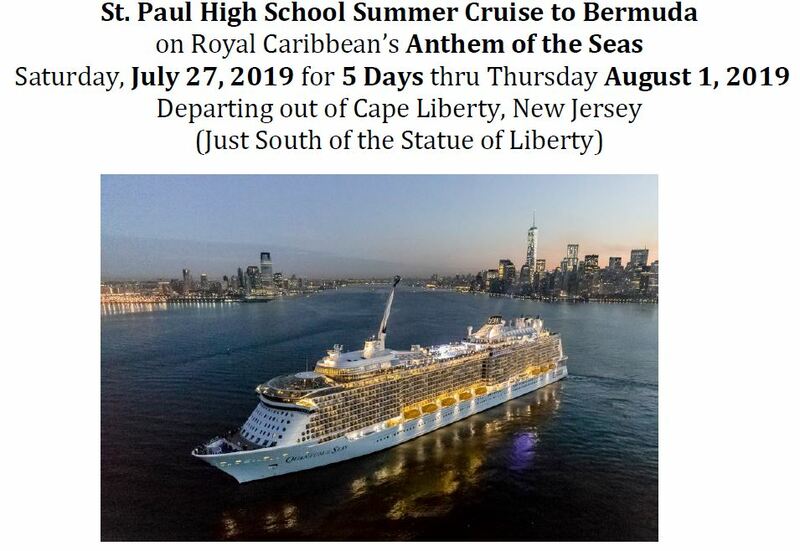 Have fun with other St. Paul Families, Alumni, and Friends aboard Royal Carribean’s “Anthem of the Seas” from July 27-Aug. 1, 2019.